Amazon has announced a line-up of five children's shows that will be receiving pilots for the public to vote on. In Dec. of last year Amazon announced six pilots were being produced that would then be shown to the public to decide which ones would go to series. Those were all comedies, and now its time for the little tykes to get their turn. Amazon announced this week that five children's shows will receive pilots and then be shown on Amazon Instant Video, Prime Instant Video, Lovefilm UK and Lovefilm Germany to receive feedback and see which ones should go to series. The five contenders have some big names attached. Creative Galaxy – An animated interactive art adventure series, designed to inspire kids' creative thinking through crafts, story, music and dance. The series was created by Angela Santomero, creator of Super Why!, the Emmy-nominated literacy series, Blue's Clues and Daniel Tiger's Neighborhood. Oz Adventures – In this innovative problem solving series, Dot, Dorothy's daughter, goes off to Oz everyday with the children of the beloved characters from L. Frank Baum's classic book, The Wizard of Oz. In each episode, the yellow brick road leads Dot to a new magical location where she solves problems alongside her Oz friends. Teeny Tiny Dogs – Produced by The Jim Henson Company (Sid the Science Kid, Dinosaur Train) and created by Howard Baker (Rugrats), Teeny Tiny Dogs follows Butch, Butterfly, Dinky and Polly as they help one another navigate the big world despite their teeny, tiny, small size. This series promotes happiness through friendship, learning, growing and developing a strong sense of self as seen through the eyes of canine friends. Tumbleaf – Created by Drew Hodges and Bix Pix Studios, an award-winning stop motion studio. The series, aimed at preschoolers, is set in a whimsical land where a small blue fox named Fig plays each day and discovers adventure, friendship and love around every bend in the path. Children will be enriched by narratives that promote play through exploration and cognitive reasoning. Untitled J.J. Johnson Project – This show revolves around Anne, a young scientist, who creates three robot helpers to assist her scientific experiments in the back of her dad's junkyard. This science-based series from creator J.J. Johnson (Dino Dan, This is Emily Yeung) aims to introduce kids to science and technology in a fun, new way. A Jim Henson Company series? Yes, please. Amazon has not yet revealed how many of the potential 11 pilots it would be willing to turn into series, but it's fairly obvious that the company is getting very serious about producing original content. 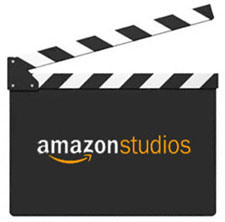 SEATTLE–(BUSINESS WIRE)– (NASDAQ: AMZN)—Amazon Studios, the original movie and series production arm of Amazon.com, announced today that five children's test pilots have been greenlit for production. This announcement comes on the heels of the first pilot production commitment in December, which greenlit six comedy pilots, bringing the total number of Amazon Studios pilots currently in production to 11. Once completed, all 11 pilots will be posted on Amazon Instant Video, Prime Instant Video, Lovefilm UK and Lovefilm Germany for Amazon customers to watch for free. Viewer feedback will help determine which series Amazon Studios should produce. "Production is already underway for the first set of comedy pilots we announced last month, and now we are excited to add even more pilots to the list—five amazing preschool children's series," said Roy Price, Director of Amazon Studios. "Our children's series come from industry luminaries with credits such as Blue's Clues, Sid the Science Kid and Dino Dan. We think parents—and our very youngest customers—are going to love the magical combination of entertainment and learning that they'll discover in these children's series." "We are thrilled to be working with Amazon Studios on our pilot and can't wait to soar into a creative arts curriculum with Creative Galaxy," said Angela C. Santomero (Blue's Clues), creator and executive producer of the debut series, which is one of five children's series to receive a pilot order. "We know that art can have a powerfully positive effect on children, and through our proven signature approach to preschool television, we will actively help young viewers learn how to think creatively in their own lives. Working with Amazon Studios has been fantastic, and we look forward to jumping into the production process." Creative Galaxy is an animated interactive art adventure series, designed to inspire kids' creative thinking through crafts, story, music and dance. The series was created by Angela Santomero, creator of Super Why!, the Emmy-nominated literacy series, Blue's Clues and Daniel Tiger's Neighborhood. In this innovative problem solving series, Dot, Dorothy's daughter, goes off to Oz everyday with the children of the beloved characters from L. Frank Baum's classic book, The Wizard of Oz. In each episode, the yellow brick road leads Dot to a new magical location where she solves problems alongside her Oz friends. The Untitled J.J. Johnson Project revolves around Anne, a young scientist, who creates three robot helpers to assist her scientific experiments in the back of her dad's junkyard. This science-based series from creator J.J. Johnson (Dino Dan, This is Emily Yeung) aims to introduce kids to science and technology in a fun, new way. These five new pilots join the six comedy pilots already in production: Alpha House, Browsers, Dark Minions, The Onion Presents: The News, Supanatural and Those Who Can't.